Aïcha Blissi didn't believe in fairy tales. She believed in putting one foot in front of the other and powering through each day for the sake of her daughter - the only glue holding her life together. That was until she walked straight into Tom Hiddleston in the streets of London - an encounter that swept her into an enchanting and suspended interlude. But interludes don't last, and soon Aïcha finds herself in an unexpected crossroads she wasn't ready to face. 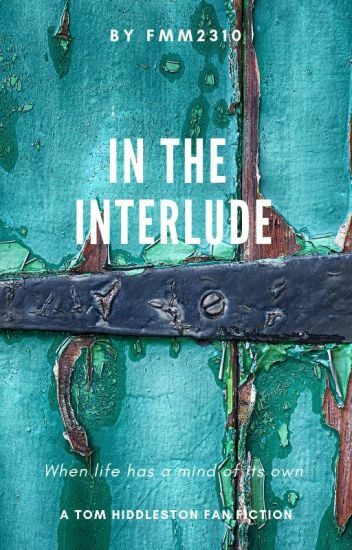 Set in the streets of London, Paris, Marrakech, and Casablanca, 'In the Interlude' is a tale of encounters and chances, of grief and love, and the ultimate possibility of a happy ever after. It goes without saying that this is a work of fiction. Names, characters, businesses, places, events, and incidents are either the products of the author's imagination or used in a fictitious manner. Any resemblance to actual persons, living or dead, or actual events is purely coincidental. Samantha Jackson works hard at what she does. She's not as famous as her friend but she enjoys her work. Will her past cause problems for her future? Will she be able to deal with the fame  when she ends up in the spot light? Or will she turn from the one person who means the most to her in the world? Wattpad Featured: Not every part of the world celebrates a cold Christmas - in the southern hemisphere things are hot and steamy. And this Christmas they could end up being hotter and more steamy than reclusive artist Megan ever expected. For Ronald John - Dementia is a biatch. Desdemona Humphries leads a rather unspectacular life. She's a great daughter, grand-daughter, and aunt. She helps her brother coach little league and helps her sister bake for the school bake sales, in between running a bed and breakfast with her father and grandmother and writing fan-fiction as a hobby. She has everything she wants out of life, everything except a man and family of her own, although she will tell you that she doesn't have time for either. What happens when life starts to imitate art? Reality starts to blur into fantasy when the object of her fangirl affection becomes a very real person to her. As always, I own nothing to do with Tom Hiddleston or any other celebrity mentioned herein. I only own my own original characters and story. I give no one permission to duplicate or translate this story, in part or in whole. Most people have pre-wedding jitters. When the free-spirited Julia decides to settle down with the man she loves, her world is turned upside-down by one Tom Hiddleston who she thought she'll never meet. After losing her sister in a car accident, 25 year old Jessica Blackwell is broken, lost, and guarded. One man may the the only person to change all that. After meeting the actor Tom Hiddleston, Jessica has second thoughts about life and love. Tom may have some second thoughts of his own as well. Jessica and Tom have to learn to face the toughest obstacles, and get through them hand in hand. This is Tom Hiddleston fanfic! My first time writing so please, take it easy on me. The story line sounds a little unoriginal but as you read, hopefully your perspective will change. Warning you in advance, it isn't ALL about Tom and Jessica, there are other very important characters, that you will get to know. It also may make you shed a few tears. Sorry in advance!!! "Its not a matter of finding the person you were meant to be with, but a matter of waiting to find each other." After breaking up with her boyfriend of seven years. Ariana needs a new start. Work takes her to London, and she is faced with the challenge of moving on. Not only from her ex-boyfriend, but from her many past mistakes that she's never really forgotten about. And she may be getting help from a certain actor. This does not have to do with my first series! Its a completely new fan fiction! "Who could refrain that had a heart to love and the courage to make love known?" There are times where destiny works in one's favour, and times where fate derails the happy ending. Often, the signs that reveal which path a person is on are hidden, though, on occasion, people are simply too blind to see them. In a world where Robert Downey Jr has a younger sister who falls in love with none other than Tom Hiddleston. Disclaimer: None of the pictures are mine. All right to the photographers. Wattpad doesn't delete my book I worked super hard on it lol..
Tom Hiddleston was in New York the week of the premiere of Crimson Peak. Along with the premiere, comes the interviews. Kandyce Thomas was the writer and producer of a YouTube channel that interviews celebrities and asks them questions irrelevant to the movie they are promoting. On the day Kandyce's interviewer gets sick, she has to take over.